While his team continues their 7 match undefeated streak, the Verts’ coach highlights the journey that the team has made since playing Monaco at the end of December. 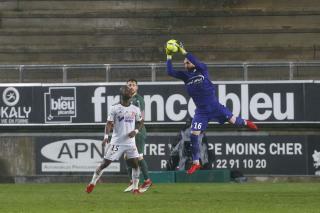 What do you think about the performance of Stéphane Ruffier and ASSE’s defenders? Saint-Etienne has always had one of the best defensive lines in the championship and Stéphane Ruffier is in tip-top shape. In every game, he makes the job. At the end of december, that had to be difficult for him. Today, he’s got his mojo back and the players in front of him give him a sense of security. He’s back to his old self again. That was the goal of the winter transfer window, we’re helping everyone to get back to their peak level of physical performance. Are you satisfied with your team’s offensive performance? That’s our current problem. But it’s more an efficiency problem than a problem with our game. Players are getting used to play with each other. Opportunities to score goals present themselves after periods of great performances delivered by our players but we don’t capitalize on them. That will come though if we continue progressing as we have. Is the lack of victory against Rennes linked to the absence of Robert Beric? When Robert Beric isn’t present, it’s the responsibility of other players to score goals. Today, when we look at our statistics we see that they’re not good enough after 30 games. We have to be more decisive in front of the goal. Robert Beric is our striker, he’s our go-to-guy. It’s normal that he is the one to score because he’s at the top of the pyramid. Against Dijon, he could have been more decisive. His absence during the last match was due to the fact that he had the flu. Today, he’s doing better. Right now, he has to get his efficiency back. 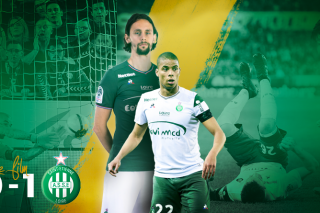 How do you picture the end of the season for ASSE? We’re impatiently waiting for the moment when we have 42 points. Then, if there are still a few more matches to be played, we’ll see if we can give ourselves other objectives in regards of the rankings. If we win Sunday, we’ll rank among the best teams in the championship, which would be a great first step because 100 days ago we were a bottom-of-the-barrel team. Were you surprised by Mathieu Debuchy’s lack of convocation to the Équipe de France? No! The French coach knows Mathieu Debuchy, he doesn’t need to see him play. If Mathieu continues to perform as he has, he’ll get his chance because there’s currently debate regarding who will fill this position. What counts is that he’s on the right list, the one that will be announced at the end of the championship. What is your opinion of Guingamp, your next adversary? I’m happy to play against this team. They’re close to us in the rankings. We’ve been on similar paths. Psychologically though, we’re a bit better off because they’ve lost their last two games and we’ve gone seven matches without a defeat but, knowing their coach, they won’t give us an inch. Saint-Etienne will have to take control of the game and be efficient in order to win this match. It’s Amaury Delerue who will act as referee for the match against Guingamp. The previous match he refereed at the Geoffroy-Guichard stadium was the one against Monaco (0-4), marked by a harsh defeat (0-4) and the expulsion of Stéphane Ruffier. What do you remember about that evening? It was a very difficult period for Saint-Etienne. The most striking event that took place was Stéphane Ruffier being given that red card, because of which he was suspended for 4 matches. In my opinion, that was very severe because I didn’t find him to be aggressive towards the referee. It was a very difficult atmosphere for the club to bear. Three months later, we’re more serene, we play better. I look at which referees are assigned to each of our matches in this championship because I know the referees. In any case, I’m putting my faith in Mr. Delerue during this next match.